Energy efficiency, environmental soundness and performance are important requirements placed on today's wastewater industry. These challenges can be attained by efficiently utilising all resources for generating one's own energy. 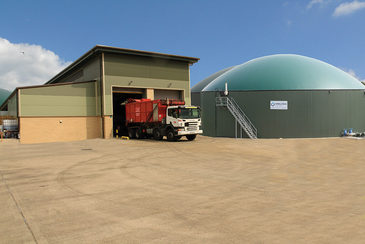 The future of wastewater treatment plants serving 50,000 PE or less now lies in the generation of electricity and heat as well as sludge stabilisation by means of anaerobic sewage sludge conversion in biogas reactors. WELTEC BIOPOWER offers wastewater treatment operations its sophisticated and forward-looking technological solutions for optimising energy generation. The fermentation of sewage sludge in stainless steel reactors represents an economical and ecological solution for producing one's own energy. WELTEC handles all the key steps towards achieving that during the course of the project – from the development of individual concepts and plans through to implementation.